Businesses and the public sector are not allowed to use FRS or GMRS types of two-way radios without a licence. Applying for a business radio permit from OFCOM and filling out paperwork can be a long process. It is also quite expensive, given that there are cheaper or even free and better alternatives. These will not only boost communication in your business, but they will also have more features such as saving all conversations in one place. Furthermore, two-way radios can be costly with prices ranging from $115 to over $500 for each device. If you are a big business you’ll probably need more than twenty radios. This means the cost of the devices in addition to the cost of the licence can be pricey as your business grows. Modern team communication apps like Sound Branch are replacing the retiring two-way radios. One of the main benefits of using such apps is that they are extremely flexible allowing you to store all communications in one place and access them from any device including PCs, smartphones, tablets, smart speakers and smart watches. No matter what device your employees use they can communicate with co-workers and management from anywhere at any time. This, of course, makes business operations stronger and more efficient. For example, if you are a logistics company your drivers can send a voice message to inform management about the delivery of goods or a problem they may have. When the driver sends the voice message on Sound Branch all people (e.g managers) who are in the group receive the message immediately and can respond to the driver with more instructions. It doesn’t matter what device your drivers use – messages can be sent and accessed from any device, as long as you have a Sound Branch account. Two-way radios were a great solution in the past when smartphone devices didn’t exist. More and more businesses are replacing this way of communication with team communication apps which have more capabilities. For instance, with Sound Branch, you can create private groups of teams. All voice notes are saved on the cloud. If something goes wrong with a delivery, for example, you can review what has been said on Sound Branch. This way, you’ll find solutions to communication issues. What is even more exciting is that Sound Branch transcribes voice messages automatically. This means that if management is busy in a meeting and cannot listen to an important voice message, they can simply read it as a text message. What is more convenient than this! As you probably know, two-way radios usually have a range limit of up to 30 miles. 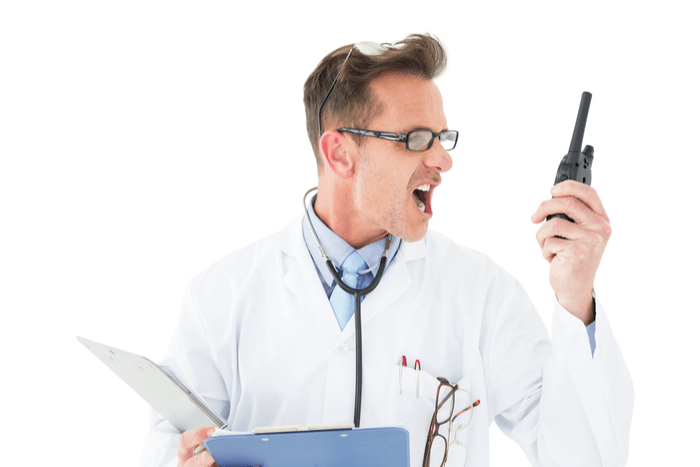 Most radios have lower limits but even 30 miles are not enough for efficient communication. Modern communication apps like Sound Branch don’t have any range limits. As they use internet to send messages your employees can be in New Zealand and communicate instantly with other colleagues in New York or London. Sound Branch also offers more features such as history and voice transcription. It’s a VoiceFirst app and uses the latest technology available in the market.